What We've All Been Waiting For is Here! 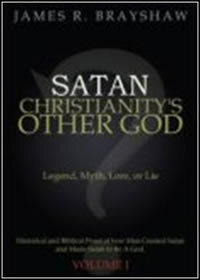 ~ "With Satan Gone, We Are Left with Only God"
Could It Be – Satan is Not Real? is not a cosmic angel who chose evil and fell. Did the Apostles adopt Christianity’s Satan or have religious leaders made an error? Who says there is a cosmic evil entity giving God a run for His money? Is man the only adversary of God? 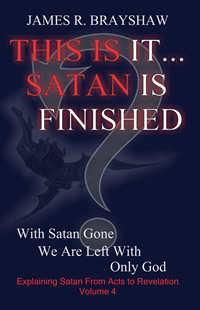 In volume 4 of the Imagine No Satan series the Evil One disappears forever. This is the most compelling work today on man’s greatest adversary. 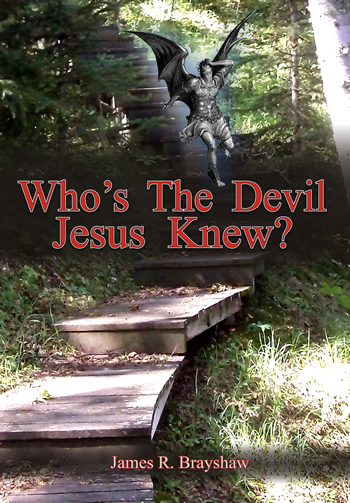 You won’t see Satan the same once you’ve read this book! Do you believe the devil is real? Maybe it's time to think again. What if I could prove to you that Lucifer isn’t an angel who fell from heaven; would you believe Satan is not real? What if I could show you that the Creator didn’t create a super-angel who rebelled; would you then believe Satan might not be real? Suppose I told you that the Serpent in the Garden wasn’t the devil of common lore; would you still believe in Satan? What if you found out the common belief about Satan wasn’t so common to Jesus and his disciples; would you still hold on to a belief in Satan? Have most of us ever really even thought about it? Isn't it about time we did? I am thankful to God that there are people in this world like you that are willing to stand against the majority and the mainstream beliefs of organized Christianity. Christ stood against the mainstream religion (teachings of the pharisees) of that period of time and He was persecuted for it. If we who are searching and hungry for truth suffer persecution, then that tells me we are headed in the right direction. People ain't ready for this! They would much rather believe in fairy tales, unaccountability and superstition, than accept the evil, manipulation, delusion, corruption and lies that they see everyday BY men and most of all, themselves! Excellent. It makes more sense than the fairy tales we were taught.